What makes a successful food donation program? Effective planning. 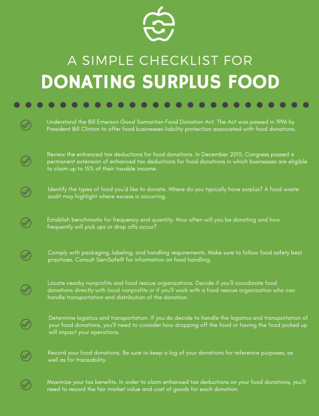 Our checklist provides nine, actionable steps to take when implementing your program for donating unsold food inventory. Whether you're beginning your food donations or enhancing a large-scale donation program, this checklist can serve as a guide.